The Milwaukee Journal Sentinel released its annual ranked list of Top Workplaces, based on surveys of employees of area businesses, and Vizance took 1st place in the category of employers with 50 - 150 associates. 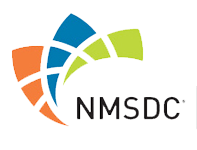 The list included 75 businesses in a variety of industries, and can be viewed here. Congratulations to Dimas Ocampo, Vice President and Principal of Vizance, for being recognized as one of the Milwaukee Business Journal's 40 Under 40 Winners. This award is given to young business and community leaders from throughout southeastern Wisconsin. Vizance is proud to announce that The Diedrich Agency is joining Vizance on January 1, 2019. The Diedrich Agency was founded in 1923, and specializes in business insurance, farm and crop insurance, home and auto insurance, employee benefits, and individual health insurance, including Medicare. The Diedrich Agency will continue to operate under the Diedrich name from its office locations in Ripon, Berlin, Fond du Lac, Oshkosh, and Green Lake. Agency Principals J. Drew Diedrich and Tobin Storzer will continue with the organization as owners of the new entity. For more information, click here. Vizance recently earned a place on the Milwaukee Business Journal’s Fastest Growing Firms list for the fourth time. This year’s list was comprised of 21 companies that have shown high levels of growth over the previous three years. 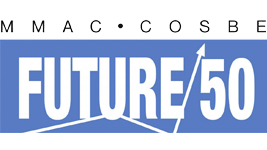 Vizance also received the Future 50 Award from the MMAC (Metropolitan Milwaukee Association of Commerce). Companies receiving this award have demonstrated strong growth in revenue and employment and can win the award up to three times. This was Vizance’s third and final time winning the award. A career with Vizance means being part of something truly meaningful. Learn more on our Careers page or email us at careers@vizance.com. Vizance was honored to take 4th place in the annual list of the Top Workplaces in Southeastern Wisconsin, as announced by the Milwaukee Journal Sentinel. Vizance was also awarded the Special Award for Communication, as described here. Thank you to our Associates who make Vizance a Top Workplace! On April 30, 2018, OSHA announced it will require all establishments affected by the electronic reporting rule to submit their 2017 data to OSHA by July 1, 2018, regardless of whether the state has ratified or incorporated the electronic reporting rule into its OSHA state plan. Establishments in all states, including those with an OSHA-approved state plan, should prepare to submit electronic reports by July 1, 2018. Recently, the Internal Revenue Service issued guidance again adjusting the maximum health savings account (HSA) contribution for individuals with family coverage under a high deductible health plan (HDHP). The new guidance, Revenue Procedure 2018-27, provides that for the 2018 calendar year an individual with HDHP family coverage may use $6,900 as the maximum contribution limit rather than the lower limit of $6,850 established following the passage of the 2018 Budget Reconciliation Act and published by the IRS on March 2, 2018. The new guidance further provides that, if permitted by the HSA trustee or custodian, an individual who receives a distribution from an HSA of an excess contribution (with earnings) based on the previously published $6,850 limit may repay the distribution to the HSA and the amounts will not be includable in the individual’s taxable income or subject to the 20 percent additional tax under Section 223(f)(4) of the Internal Revenue Code.